In order for Twitter looks to scale up to a Facebook-like heights, the largely US-based team has begun to look abroad in order to both grow its user-base in non-Anglophone countries but also to begin monetizing outside of the US. It has become more or less fact that Twitter will never hire a country manager for France, a position for which they began seeking candidates in 2011. The role, it seems, will instead be filled by a variety of job positions, some in France, and some outside of France. The “Marissa Mayer of Twitter,” who coincidentally was nearly poached by Mayer when she first took the Yahoo CEO role last August, Katie Stanton’s role has always been a ‘consumer-side’ role, as AllThingsD describes here, on-boarding high-profile players (we all remember when Snoop Dogg first tweeted, right? ), and explains to politicians and other key socialites why they need to be on Twitter. Her job has always revolved around International, but her setting up in Paris (as opposed to London, Brazil, South Korea, etc.) suggests two things: first, that the France Country Manager role is much harder to fill than they expected, and second, that they will never have a Country Manager of France. Jafari has been with Twitter since early 2011, previously at Shutterfly & Ask.com, and helped build up the US sales operations team. His role, however, will not be based in Paris, but in Dublin, home of the European sales operations of Google, Facebook, and many other Ad-based web companies. Originally for tax purposes, Dublin has become a hotbed for companies looking for multi-language employees (many of whom originally came to Dublin for work at Google). The new title and location suggest that Twitter is looking to reinforce its sales operations in Europe – I recently tried to get in touch with Twitter’s European sales team and found it quite difficult and unreliable – and it also suggests that Twitter will be going down the same path as Google & Facebook, which I imagine will create a mixed relationship with France. Justine Ryst just joined the team this week, and if her previous work experience is any indicator of her work, this job will involve getting media as integrated as possible with Twitter, from both a social perspective and even a sales perspective. It doesn’t seem that Ryst will have much of an issue with that in France – French TV channels have been including their official Twitter handles in broadcasts since it became legal to do so, and Paris is already among the top cities using Twitter, especially around TV shows and other news, such as last week’s train derailment, which broke via Twitter just minutes after the incident occurred. If you’re looking to keep tabs on the other must-know players of Twitter Europe, then you’ll want to keep an eye on Rachel Bremer(@ryb), Twitter’s head of European communications, and Tony Wang(@TonyW), possibly the first European hire for Twitter, who is the country manager for the UK. 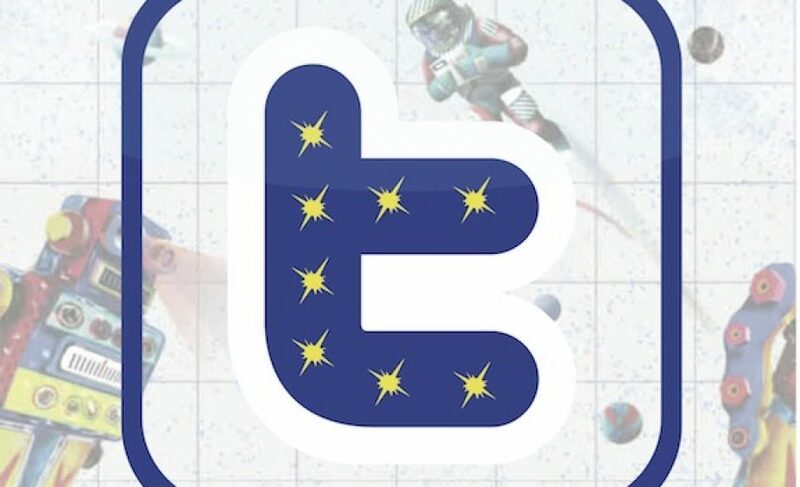 With so many key players out in Europe today, it is clear that Twitter is doubling down their efforts in Europe – good news for Twitter, and even better news for Twitter users in Europe.